Tridacna clams come in a variety of shapes, sizes, and colors, but rarely do they show up looking like this. ReefKoi Corals, an online vendor based out of Colorado, recently uploaded this very unique and rare “two face” maxima clam to their website. One half of the clam looks completely normal, sporting a typically colored turquoise mantle with striations and dark spots. The other half of the clam, however, doesn’t quite match up. It does share many characteristics with its other half, but it also has a rather large section of mantle that is an entirely different color. Instead of being turquoise, it has a copper colored chunk that stands out sharply, giving the clam a very different look. Despite its rarity, the clam is only listed for $150. And even though the two face clam is a very rare occurrence, it’s not the first time ReefKoi Corals has gotten hold of one. 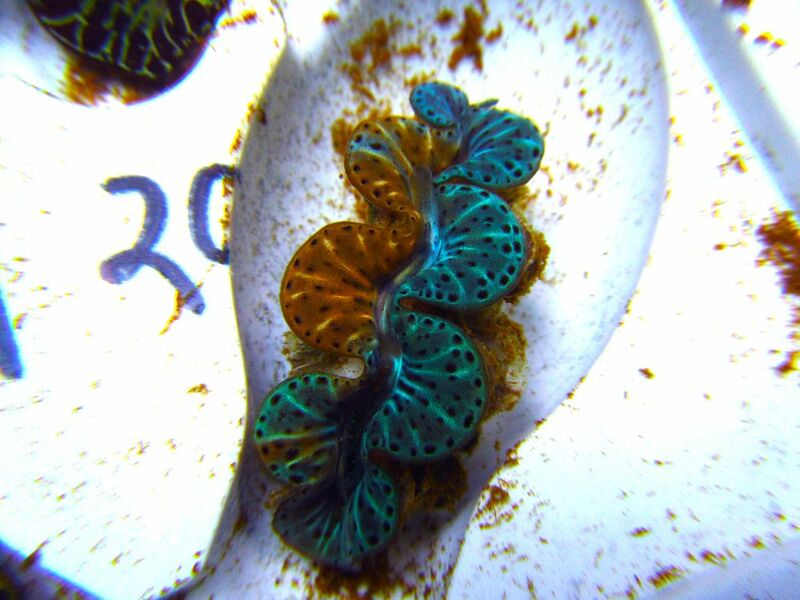 Back in November 2011, they had a larger Two Face Clam that had an even wilder color combination. Being clam enthusiasts ourselves, it’s taking every ounce of strength to not scoop this maxima up.